Linda K. Glover- It ain’t about the dress. I have said it numerous times, “Ever since we started writing about personalities thirty years ago, I am continually amazed how many interesting folks we have met”. We have met them everywhere but, like this month, our profile is about another person we met at Landini Brothers restaurant. Do not fall for first impressions, because there is much more to Linda K. Glover than meets the eye. A soft spoken, strikingly professional woman does not reveal her life of living and working in a man’s world. The daughter of an Air Force officer and English war-bride Mother, Glover has lived in many places. Her first school was in London, England. From there the family moved to Frankfurt, Germany where she attended an American military school, Demarest, New Jersey; Belleville, Illinois; and finally Andrews Air Force base in Prince Georges County. 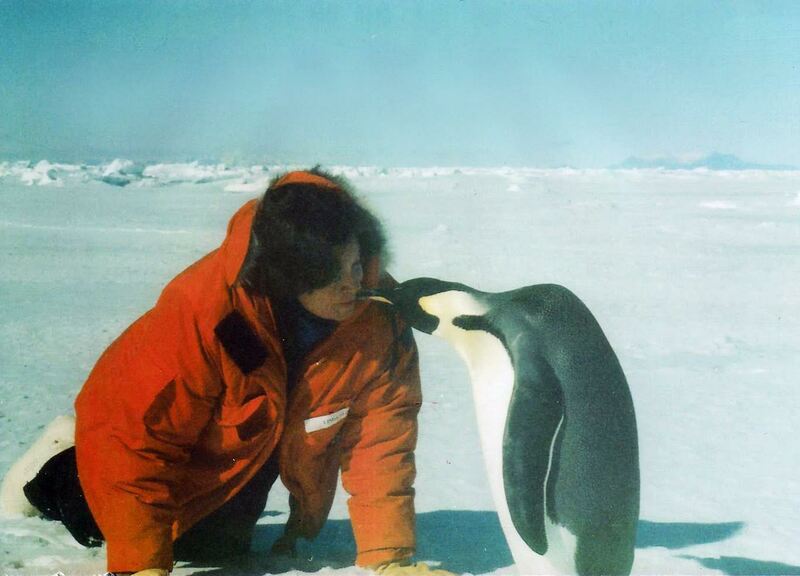 It was here, while still in her teens (17), Glover began doing lab work for the Naval Oceanographic Office, where she worked on and off all through college. She attended Duke University where she graduated in 1970 with a degree in chemistry. The ongoing debate at the time on seafloor spreading, continental drift and plate tectonics prompted her to take graduate courses in marine geology and enter that field. During her time at the NAVOCEANO labs, Glover improved lab techniques, designed the shipboard labs to move lab work to sea, and went to sea in 1968 to train the guys on how to do it. For seven years after college, Glover worked at the Navy research lab in Chesapeake Beach, Maryland. Fifty years ago I would ride my motorcycle past this facility on the cliffs of the Chesapeake, and I often wondered what was behind those 12- foot fences. Now I know. “This was where the Navy developed radar back in World War II but was converted to oceanographic research later”, she tells me. “I worked there in a concrete building that had no windows, so it was a relief when we could take some time at lunch and take a swim in the Bay”. This is also where Glover entered a man’s world. Besides doing research in the lab, Glover began going to sea on Navy military survey ships for three months at a time gathering core samples and mapping the seafloor. To obtain the core samples, sometimes at depths of over 2 ½ miles, they would drop long sections of steel pipe with a 2,000-pound weight attached to the top. This assembly was dropped over the side and would sink to the bottom where the weight would drive the core pipe into the sea bottom; a one-way valve at the opening would keep the mud sample in the pipe when the assembly was hoisted to the surface, Glover loved being in the midst of the physical action of collecting the core samples at sea. The science cruises also included mapping the bottom of the ocean using multi-beam bathymetry. The term, in Latin, means depth measurement. But in the same way that topographic maps represent the three-dimensional features (or relief) of overland terrain, bathymetric maps illustrate the land that lies underwater. One of her science cruises took her to the eastern Indian Ocean where she helped discover the extent of the Ninetyeast Ridge, and developed the Navy’s first anti-submarine warfare map of the Indian Ocean, showing where seafloor characteristics support the hiding or finding of submarines. Another cruise in the northern North Atlantic found the best places for Navy listening devices on the seafloor, and provided samples for several published research papers on “paleoclimatology”, the study of ancient climates. I forgot to mention that Glover is also a sailor so we sort of understand the same things. Although her knowledge is much more than mine, I was interested in the time that she worked for NOAA…the national weather service, which never seems to get it right. She worked in the Ocean Services Division to help improve marine weather forecasts. She went on an inspection of Thomas Point Lighthouse, which is in the Chesapeake Bay south of Annapolis, Maryland and a data collection point for marine weather forecasts. Glover found that the wind anemometer (that thing you see on the top of sailboat masts that spin in the wind and translate that into wind speed) was located on the railing on one side of the lighthouse structure. She had it moved to the roof where it could measure winds from all directions! Another fun thing she did was publish the magazine Gulf Stream for NOAA. She did weekly analyses of the location of the Gulf Stream and its’ eddies, which helped the Navy, fishermen, commercial shipping, and recreational sailors. Soon the navigators of sailboats in the Newport to Bermuda race were tracking down Glover and analysts in two other agencies to find out the conditions before the race. “Surface movement of the water can be critical to winning that race, and there was friendly competition among the three of us to help our boats win,” she explains. One recommendation of this study was that the Coast Guard cut back on non-life threatening “rescues,” and allow industry to fill this niche. Glover’s recommendations expanded commercial towing for private boat owners and allowed Richard Swartz, the founder of Boat U.S., to establish towing insurance and services for Boat U.S. members. Glover also led high-level efforts on export control, NATO, Law of the Sea, and declassifying Navy data for public use. Even though Glover carved out a career in what is perceived as a man’s world she also made time for herself. In the mid-seventies her “long-time sweetheart, now a great friend” Randolph taught her to sail and scuba dive. “He bought a 41-foot wooden boat built in Nova Scotia,” she says. “Randolph kept his boat in Parrish Creek off the West River. We sailed everywhere in the Middle Bay, sometimes for two weeks at a time,” she continues. “Honga River, Crisfield, Smith’s Island, Solomons, Baltimore, Magothy and always St. Michaels and Oxford, and favorite Annapolis Harbor. 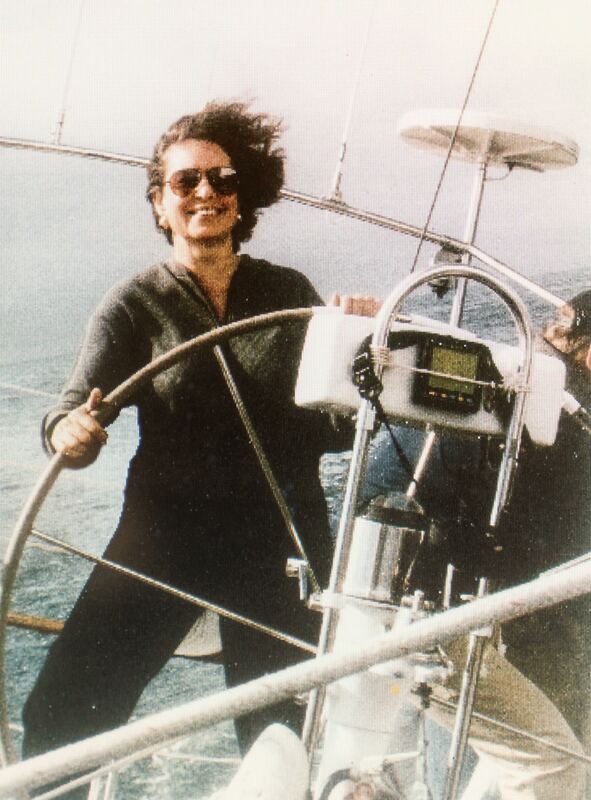 I loved working on the boat…and I loved the routine onboard…especially steering with my feet.” Apparently she was serious about her sailing. Like many of us she was overcome with heat stroke, has run aground, but always came back for more. 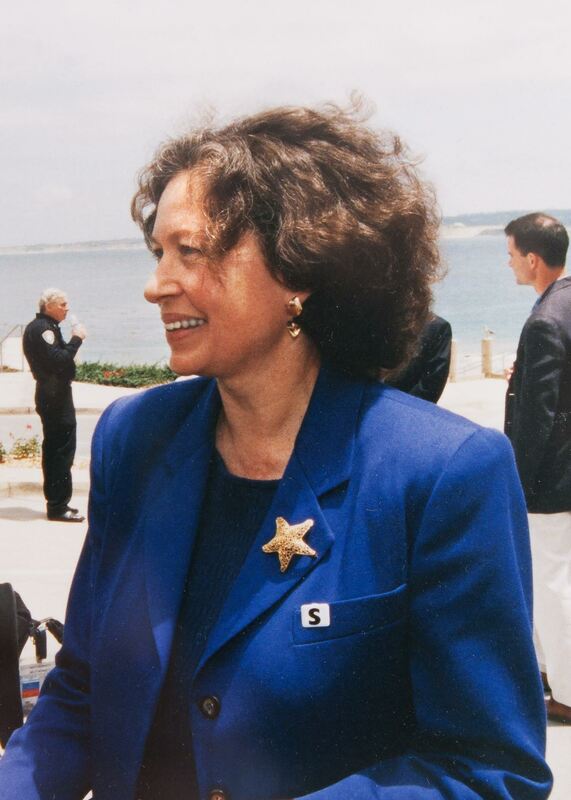 On retiring from the Government in 2002, Glover established her own firm GLOVERWORKS Consulting, and has had even more adventures. In addition to advising Navy and DoD, she led the effort to put the seafloor into Google Earth, did two books with National Geographic, supports global ocean observing policy, and has recently worked for the Aspen Institute on a plan for high seas protection.